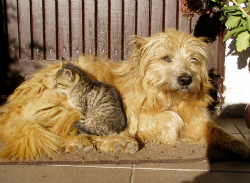 Shop for pet medications and supplies at VetDepot.com. You can save money on your pet's medications with just a little bit of research and knowing what comparable products or generic equivalents are available. Generic prescription pet meds go through a rigorous approval process wtih the FDA that confirms they meet the same quality standards as the name brand and that they have the same effectiveness as the name brand. VetDepot carries a wide variety of generic products like pain relievers, ulcer treatments, and pancreatic enzymes to make sure you save more while giving your pet the best. Check out the chart below to see common pet medications and some of the generic equivalents or comparable alternatives. Remember to consult your veterinarian before giving your pet any new medication or supplement, and be sure to follow their instructions and the manufacturer's guidelines.